Before adding your clients, we advise to create some clear communication with the key Stakeholders who will be invited onto the platform to review candidates you have shared. Once you have added your clients, you will be able to share candidates at your will and they will be able to review in their own time. To add your clients. Go to Settings -> Users and it should bring you to this page. 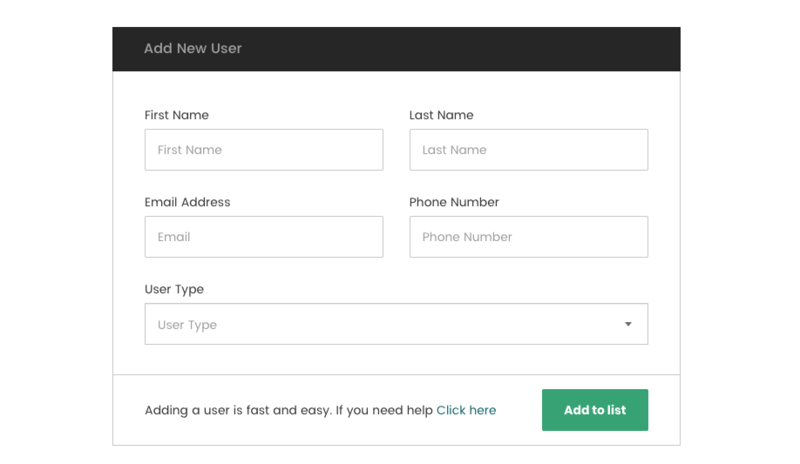 To add a client, simply add their first name, last name & email address and chose the User Type as Reviewer. This makes sure they have the right access levels as a client using StemX. Then press 'Add to List' and they will receive an email to finish setting up their account! You can now begin inviting all your clients to review candidates. To know how to do this, you can view this article here.